Deanne DeMarco, RCC is a passionate trainer who challenges people to be more engaging and cooperative in the work environment. As a meeting facilitator, corporate trainer, keynote speaker, and executive coach Deanne has worked with thousands of executives, managers, team leaders, and teams. Her objective is to improve organizational processes, and individual performance. Deanne is one of a small handful of certified coaches that is an expert in group coaching. In fact Deanne wrote the college level textbook on coaching teams and has taught coaching certification and designation classes. Coaching is a results-oriented approach. The coach acts as a strategic partner in facilitating the development process for an individual or a team. Are you ready to overcome the barriers to your success? Are you ready to start living your dream? Are you ready to focus on results? these coaching sessions are designed for the busy professional who is ready to take the next steps. If you are looking for someone to hold you accountable and give you stretch goals then Deanne is your coach. this program is not for day dreamers! It is for those who are READY to take action, committed to investing in your future, personal development or career growth. Please call 708-836-0118 or e-mail Deanne at info@breaking-boundaries.com to inquire. Often times in Career Coaching we address your satisfaction levels around workplace issues, such as: Teamwork, Communication Skills, Finding fulfillment at Work, Leading Others, enjoying your Workday, Organizational Skills, time management, Presentation Skills, Facilitation Skills, Stress Management, Living your Goals and Vision. Manager As Coach: Learn practical, real-world proven business coaching strategies. Our promise to you – you’ll be able to immediately utilize a proven business-coaching model with your team to improve performance, accountability, and communication. This program is provided in half day, full day or 2-day format. 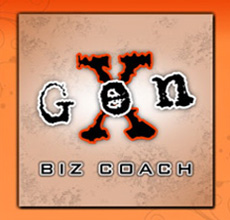 Coaching the Generational Mix: Designed for the 21st century workforce. This workshop will show you how to be more effective in managing, leading, and inspiring your diverse age work group! This two-day program includes information on understanding the four generations, how to build 21st century teams, and how to effectively use the strengths of each generation. We stress team building, improving team and individual performance and how to drive accountability. Also covered is information on how to decrease conflict and the barriers that prevent co-operation and optimal performance. This is a highly interactive program that includes dozens of interactive exercises designed to drive home the new skills you’ll learn.Not only will you discover new ways to improve your management and leadership skills – you’ll also have the opportunity to practice and apply these skills using real-life scenarios. After 2 days of coaching, practice, and critiquing, you’ll emerge a more powerful manager and communicator. The Coaching Clinic: This program is for intact work groups and teams to improve their effectiveness in working with others. This information is presented in a two-day program that includes coach training and practice with a trained, behavioral actor to work with your individual team members on customized case-specific problems. The clinic is excellent for managers, team leaders as well as all members of the team. Prior to the training an in-depth analysis is completed and customized modules are designed based on the analysis. Presentation Skills Coaching: Do you want to inspire others, connect with your audience, and be clear, confident and convincing? 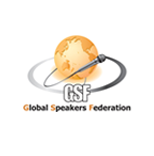 We will work with you on multiple levels to improve speaking performance, enhance message impact, strengthen vocal dynamics, and fine tune public speaking skills. The good news is that excellent speakers are made – not born. You and Deanne will set up to meet either in person or over the phone. Coaching sessions range from 30 minutes to 2 hours, every one to two weeks. The coaching schedule is set to accommodate you and can vary as coaching needs change. Coaching is 100% confidential. the coaching relationship is built on trust and confidentiality is critical. When Deanne is hired by an organization to provide individual coaching we agree up front on the confidentiality agreement. There are times when the confidentiality level is jointly decided/ agreed upon by you, your organization and the coach. In ALL cases there is a confidentiality agreement – PRIOR to the coaching session. Who Does Deanne Work With? In coaching Deanne works with individuals who desire growth, success, and balance in their lives. Specializing in working on your core issues that brings out your strengths and helps you to achieve success and perform at your best. What is Deanne’s Coaching Approach? Deanne uses a positive approach that leaves people feeling good about themselves and feeling capable in breaking through the barriers to achieve success. Deanne offers a complimentary 30-minute FREE session at no obligation. This will be a no-pressure coaching session. Contact Deanne for more information. Call us at 708-836-0118 or 800-881-7809 for more information on how we can help you or your organization reach the next level. CC Designation Program. Coaching Program Receives National Recognition. Every year Training magazine evaluates the training departments of major organizations such as Pfizer, and IBM and determines which top companies will make their elite “Top 100.” In addition, the editors of Training magazine also evaluate individual training programs. The Coaching Clinic, developed by RCC coach Deanne DeMarco earned the distinction of “outstanding initiative.” The Coaching Clinic was utilized by ComEd; a major Chicago based utility company.